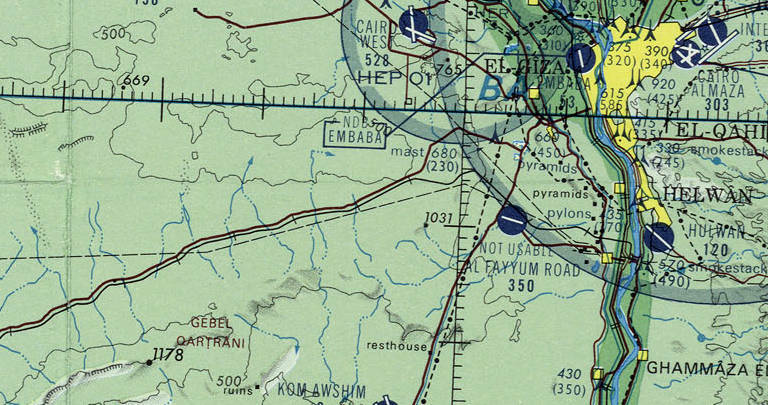 The Giza Plateau is just west of Cairo, about 18 km from the Nile on the edge of the Sahara. It's a 25-piastre minibus ride from downtown. 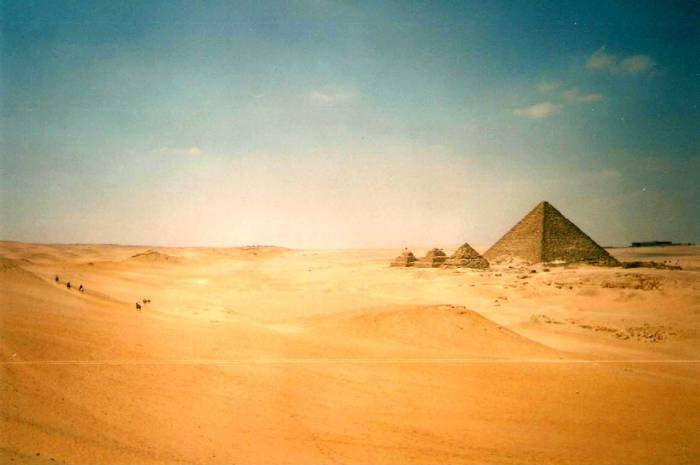 The complex there includes three enormous pyramids, three small ones, and the Sphinx. 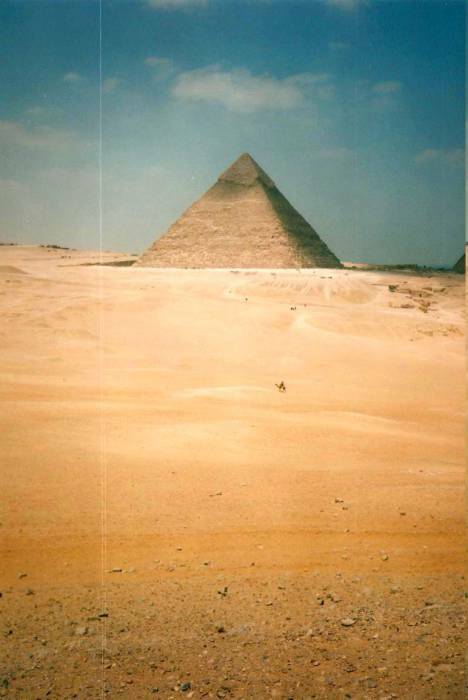 The three large pyramids are the Pyramid of Kheops, now 137m tall and built around 2600 BCE, the Pyramid of Chephren, about the same height, and the Pyramid of Mycerinus, 62m high. The three relatively small Queens' Pyramids are nearby. 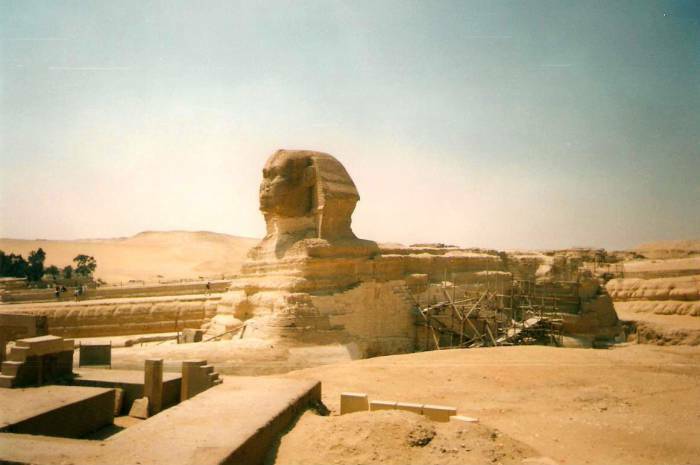 Yeah, yeah, the Sphinx is impressive. But next to a 137-meter-tall pyramid, anything else is underwhelming. The Great Sphinx of Giza is the largest monolith statue in the world: 73.5 meters long, 19.3 meters wide, and 20.22 meters tall. It is believed to have been built during the Old Kingdom period in the reign of the Pharoah Khafra (about 2558–2532 BC). We don't know what the people who built it called it. During the New Kingdom (about 1550–1077 BC) it was called Hor-em-akhet or "Horus of the Horizon". 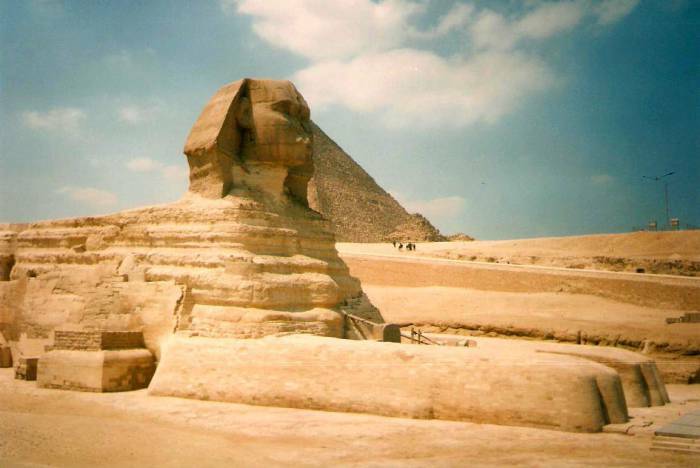 The name Sphinx was given by the Greeks about 2000 years after its construction. Today's Arabic-speaking Egyptians call it Abū al Hūl, "The Terrifying One". 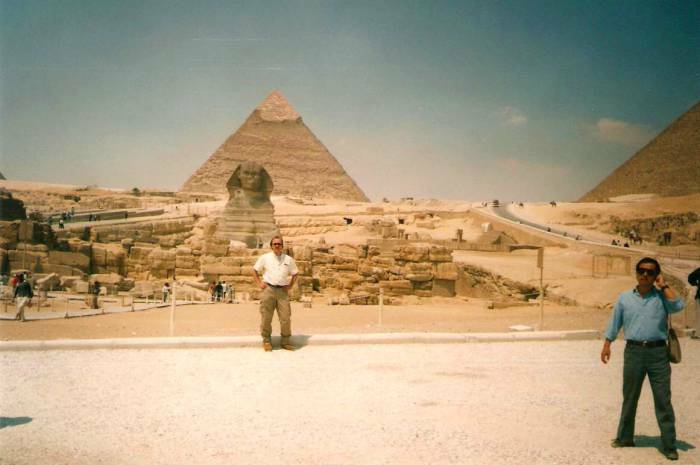 The pyramids are enormous. Think those are just steps up the side? Compare them to the people you can almost see in these pictures. You can just barely see the people — the blocks are from shoulder-high to head-high. 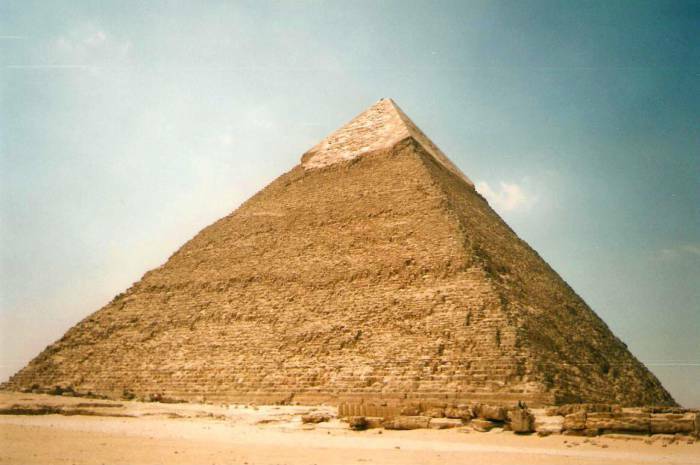 This is the Great Pyramid of Giza, also called the Pyramid of Khufu or Pyramid of Cheops, Khufu being the Fourth Dynasty pharaoh's name and Cheops being how the Greeks described his name. It is the oldest and largest of the three major pyramids in the Giza Necropolis. It was completed around 2560 BC and was the tallest man-made structure in the world for over 3,800 years. 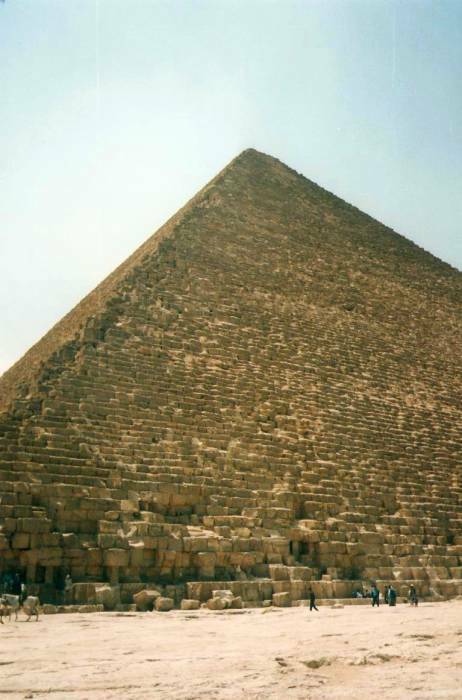 The great Pyramid of Khufu is the oldest and largest of the pyramids at Giza, and is more intact than the others. It was originally covered by limestone "casing stones" forming a smooth white outer surface. The casing was largely intact until a massive earthquake in 1303 AD. 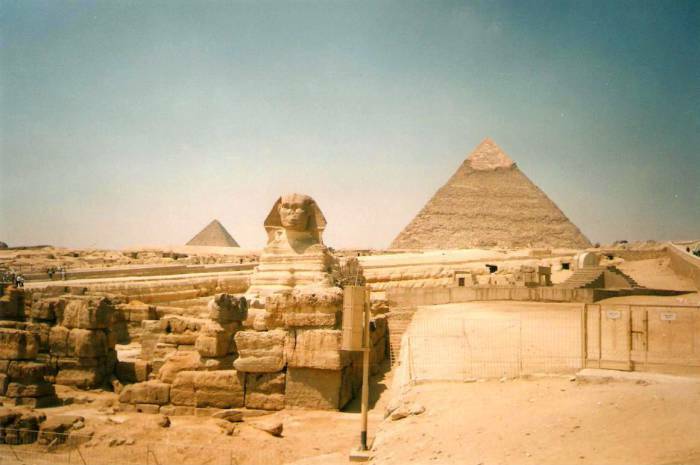 The earthquake loosened many of the casing stones, which were carried away to build mosques and fortresses in Cairo. More were removed in the early 1800s. But the really cool thing to do is to walk out into the desert. It's the Sahara. There is nothing but sand for hundreds of miles, so it's not like they worry you're going to tear anything up. And you would have to walk maybe 30-40 kilometers before you could no longer see the two largest pyramids to find your way back. Just remember to walk without rhythm so you don't attract the worm. The sandworms known as Shai-Hulud live in the deep desert and fiercely pretect their territory. And surely you aren't wandering around the desert without at least one full canteen of water, right? 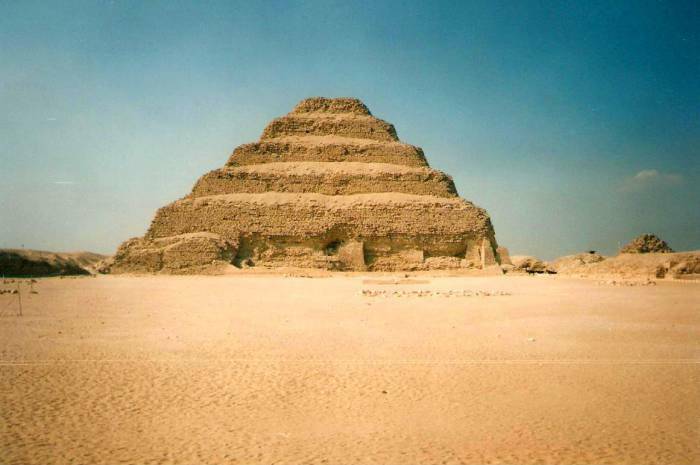 Not too far south of Giza is Saqqara with its Step Pyramid of Djoser, an easy day trip out of Cairo. The Step Pyramid of Djoser was built during the 27th century BC for the burial of Pharaoh Djoser. It's the first Egyptian pyramid, Djoser was a pharoah of the 3rd dynasty during the Old Kingdom. It's six mastabas or flat-roofed rectangular tomb structures built in a stack. The mastaba was the standard burial site for pharoahs of the Early Dynastic Period and the Old Kingdom. 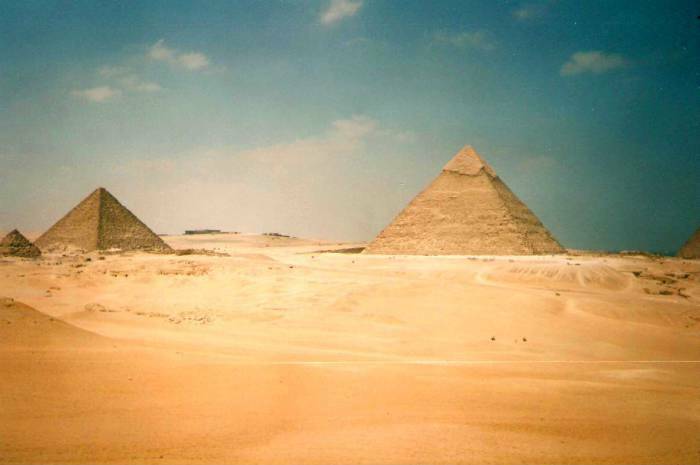 Later pyramids were built in triangular shapes. It is surrounded by a large complex of ceremonial structures surrounding a very large courtyard.